With apologies to that prince of Anglo-Catholic poets, T.S. Eliot (in his poem “Gerontion”), his famous line carries overtones for many of us these days which implicate ourselves—even those with clerical vocation—in the fear of judgment. We hardly need to call to mind particular examples of sensational betrayals of Scripture or the Articles of Faith in contemporary preaching and practice, though readers of this magazine will be painfully aware that perfidy and hubristic heresy reach all the way to the top of some ecclesiastical hierarchies. It is easy to become preoccupied with these subversions, but we can ill afford to let that happen. While we must entirely accept that it is God alone who knows what souls are his, it is possible for laypeople to make guarded assessments concerning whether or not the preaching they hear articulates religious knowledge that may without prevarication be called Christian. Reasonably instructed laity, after a season of listening, can usually discern whether a priest has the mind of Christ and seek to encourage it in others. Though highly placed clerical voices may articulate strange doctrines and utter incoherent, self-contradictory statements, we want to trust that Christians in the pew will have acquired sound Christian knowledge and will know when the voice they hear is not that of a faithful shepherd, and when teaching does not reflect the mind of Christ. But can we be sure of this? Those whose calling is pastoral care need to see how ongoing catechesis for those in the pew is as urgently needed today as at any time in the history of the Church. What is necessary Christian knowledge? The Scripture makes clear that foundationally this knowledge is of Christ, “who called us by glory and virtue” (2 Peter 1:3). This knowledge, the Apostle writes, enables us to be more than exemplars of instructed human nature but to be “partakers of the divine nature, having escaped the corruption that is in the world because of sinful desires” (v. 4). How should those who teach prepare, in such a time as this, to inculcate such knowledge? First and foremost, we need to keep authentically Christian knowledge fresh and growing in our own minds. If we are to persevere in that calling wherewith we are called, we will need to keep right on learning, and, as our text says, with “all diligence,” adding “faith to virtue, to virtue knowledge, to knowledge self-control, to self-control perseverance, to perseverance godliness, to godliness brotherly kindness, to brotherly kindness love” (vv. 5-7). A sound recipe for building successfully on the foundation laid down for us in Scripture and faithful Christian tradition may accordingly be given in just two words: imitate Christ. For the sake of our own health of mind, and for fruitfulness in all we do, we should openly affiliate with Him at every turn, in every gesture. Doing this authentically in the Church today is likely to be as daunting as it would be in the pagan world. Happily, however, for the serious follower of Christ it is also a wonderfully mind-expanding exercise. 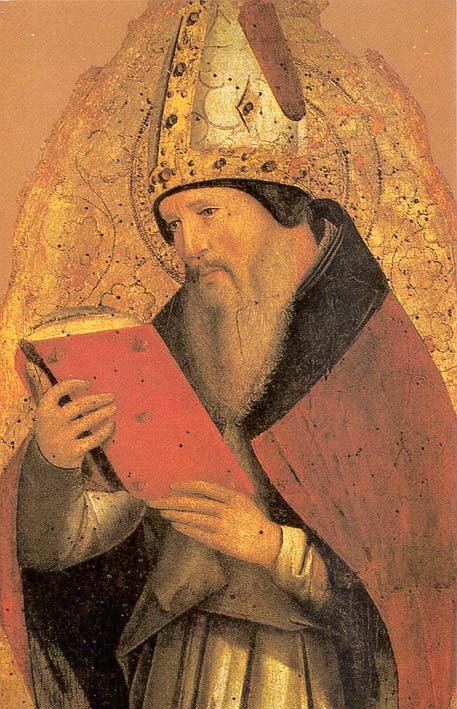 “It is no small thing,” said St. Augustine in his commentary on the Psalms, “to join yourself to Him who IS knowledge” (sup Ps 36, Serm 2.1). That the Scripture and the church fathers should so often speak of Christ in terms of knowledge immediately alerts us to the richer range of meaning for this term in a Christian context. To begin with, on the classic Christian view, some kinds of knowing require faith as a prerequisite. That “we walk by faith and not by sight” (2 Cor. 5:8) means, among other things, that there is a kind of knowing which does not reduce to data, or even to conceptual reasoning. On the Christian view, knowledge that rests only on empirical or social observations contextualized by some governing hypothesis, when ‘achieved,’ too often leads to pride in the knower. Pride, as we should know—especially intellectual pride—is an insidious disorder of our affections in which, little by little, self becomes the center of our universe. May we who teach always remember that pride’s opposing virtue is not just humility, but obedience, a disposition of the affections and the will in which it is evident that God is at the center of the universe, and not we ourselves. It is all too obvious that many who now speak for ‘Christianity’ do not think this way. Many passages in the gospels and epistles warn us against “those who have taken away the key of knowledge” (Lk 11:52), or who have “the form of knowledge” (Rom 2:20) without the transformative power of it. This is a judgment which applies to some ‘scribes’, educated persons in any age, including our own. The genuine empowerment in authentic Christian knowledge is always unsettling to such folks, irritating and unwelcome because it escapes privileged attempts at individualistic mastery or institutional control. How should Christians in the pew fortify themselves against those who have, in fact, rejected the knowledge made known in Christ? Let me offer a provisional check-list for those who, grounded in the knowledge of Christ, wish to think consistently with their founding principles. 1. A thinking Christian rejects the delimiting assertion of those who claim that all truth claims are merely subjective, namely the popular fiction which claims that there is no such thing as mind-independent Truth. 3. The person possessed of a Christian mind will have a high degree of sales resistance to political and intellectual fashions. “gods of the present age” such as have become a form of slavery to many in our wider culture. 4. An instructed Christian knows that faith is neither feeling nor fashion, that it is a knowledge tradition arising from historical facts and acts (1 Cor. 15:14). 5. The Christian whose mind is formed in Christ knows further, that in practice authentic Christianity is not some sort of theory about life, a matter of personal preference or opinion, but a principled commitment to moral action and a desire for spiritual rather than merely material goods (Matt. 6:20ff; Matt. 22:37-40). 6. The Christian grounded in the knowledge of Christ knows that Christ does not belong to us, but we to him (Acts 17:28). 7. The soundly educated Christian is thus able to see the fallacy and incipient entrapment in narrow secularist definitions of freedom as licentious, autonomous individualism, and exemption from communal responsibility. The accurately instructed Christian knows that real freedom comes from self-transcendence, and is often expressed most perfectly at the point of self-sacrifice (John 8:31-32). These are the kinds of things Anglo-Catholic Christians should know, and keep freshly in mind because they are continually being taught in the Church. It may be observed that all of these principles are to be found in the teaching of the Church, even in the Thirty-nine Articles of the Prayer-book. Perhaps we may think further that this was after all the point of catechesis before confirmation, and no longer a matter for pressing concern. That conclusion would be both wrong and, in our time especially, a dangerous error. Knowledge which is static soon ceases to be functional knowledge. Knowledge which is not reiterated soon becomes an artifact of the past. This is particularly true of theological knowledge. Knowledge is enduringly important to the lover of God at two complementary levels: first, if for no other reason than that, as 1 Sam 2:3 puts it, “the Lord is a God of Knowledge.” No one who knows this fact about God will be persuaded to check their brain at the door in coming to worship Him. Indeed, to know Him ever more deeply is the central objective of a God-directed life, for “knowledge of the Holy is understanding” (Prov 9:10; cf 10:14, 11:9, 12:1). As maturation of Christian understanding progresses, it provides for the Christian a mental platform; we come to see that knowledge of God may be sought by us in many ways: in the cosmos, where “night unto night shows forth knowledge” (Ps 19:20), in the study of human affairs (2 Chron 1:10-12; Ps 119:66), and in the councils of the learned in any discipline (Prov 15: 7, 14). Of course all of this is, in itself, partial knowledge, knowledge of particulars. Our personal learning—even when theologically informed, is inherently provisional. That is why the collective teaching of the Church, against and across time, is a much more secure grounding for ‘the faith that is within us’ than any assertion which amounts merely to ‘this I believe,’ say Karla Pollmann and Mark Vessey, in Augustine and the Disciplines: from Cassiciacum to Confessions (New York: Oxford University Press, 2005), esp. 69-75. The prophet Habbakuk tells us that only when the Lord Himself returns to his people in final splendor will there be that fullness of knowledge for which every authentic seeker yearns. On that Day, Habbakuk says, “the earth will be filled with the knowledge of the Lord” (Hab 2:14), and, according to the apostle, on that day alone shall we know, even as we are known. Finally, at its most exciting (and also most exacting) reach, authentic Christian knowledge offers nothing less than glimpses of the Christ of whom Scripture speaks. He, of course, already knows us far better than we, with our utmost diligence, can in this mortal life know Him, but if we truly and with perseverance persist in our effort at knowing God, again and again we will look up from our work and worship to discover Him, awaiting with pleasure our tentative and stumbling discoveries of the manifold mysteries of his love and grace. When we come by faith and reason to understand that in HIM “are hidden all the treasures of wisdom and knowledge” (Col 2:3), then we will not fail to connect at last our diligent pursuit of truth in the world and capital ‘T’ Truth in our pursuit of the knowledge of the Holy. That sort of integration is the ultimate goal of faithful Christian learning, and we must not lose sight of it, till, as the Apostle says, “we all come to the unity of the faith and of the knowledge of the Son of God, to a perfect man, to the measure of the stature of the fullness of Christ” (Eph 4:13). This is the ‘knowledge vouchsafed to the Church’ (Pope Gregory the Great). If those of us who have learned it should cease to live in it and proclaim it authentically—what forgiveness indeed? David Lyle Jeffrey is Distinguished Professor of Literature and Humanities at Baylor University.